If you’re looking for the same bands that all look the same, you are in the wrong place. Our 5mm Benchmark Argentium silver men’s ring with black diamonds does not look like all the others, instead it offers a unique twist on the classic wedding band. Like a breath of fresh air, this ring invigorates and exhilarates with its unique look. A slim comfort fit band is made of superior quality and tarnish-resistant satin finish Argentium silver and finished with a center cut design dotted with 6 pave set black diamonds. 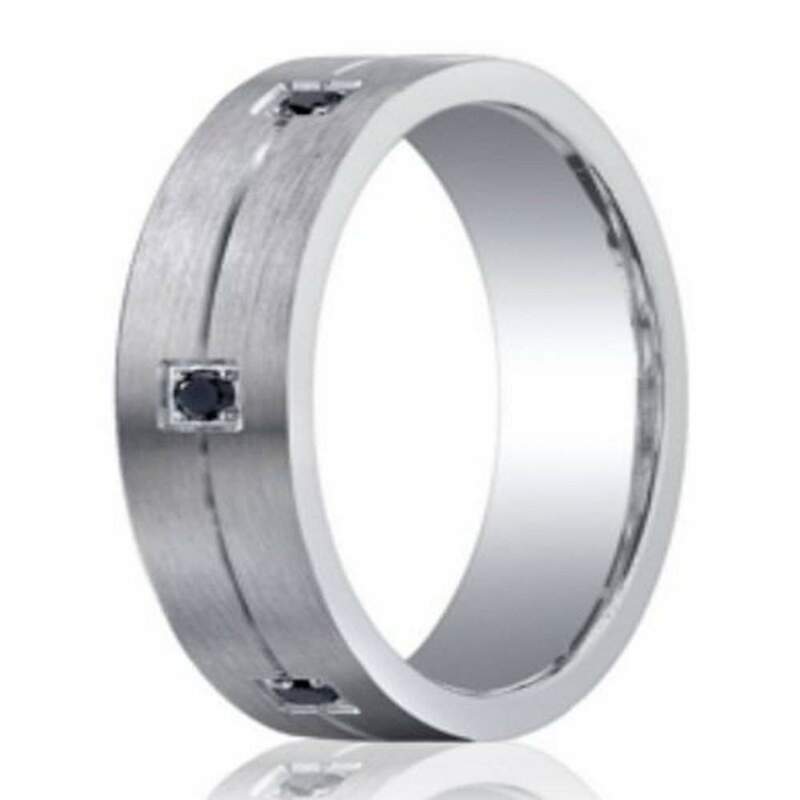 An eye-catching alternative to the standard men’s wedding ring, our Benchmark Argentium silver men’s ring with black diamonds is not for the typical groom. This ring will stand out, and demand to be seen. Not only is this a unique ring that looks amazing, it is comfortable and affordable. By using alternative metals, you get the high-class look that you want, at a fraction of the price. And with the comfort fit band, you can wear this all day long without irritation or discomfort. We do recommend having your finger measured by your local jeweler before ordering though. Comfort fit bands tend to run ½ size smaller due to the additional metal inside the ring. 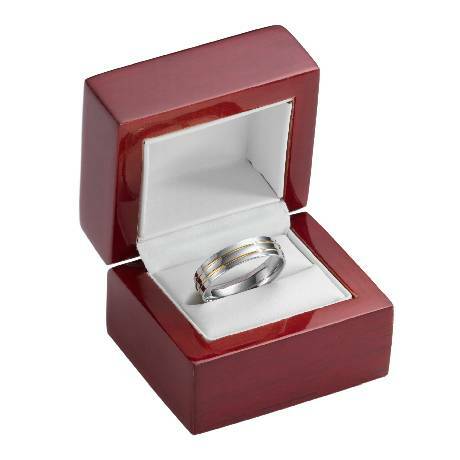 Note: Diamond rings incur a 15% scrap fee if returned or exchanged prior to 60 days.